This lusciously creamy tart has an extra kick . . . tequila! 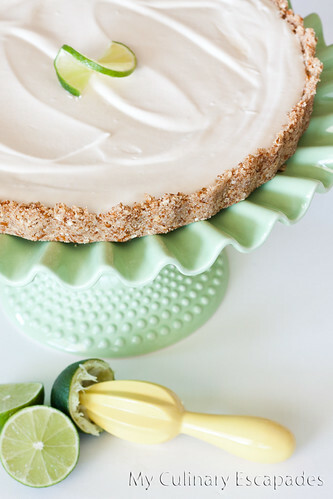 With Cinco de Mayo right around the corner I thought it would be fun to create this special dessert. 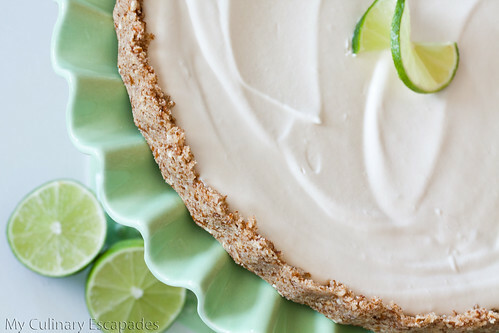 My husband who isn’t a fan of margaritas (hard to imagine I know) loves this pie. This tart is served cold and is so refreshing. Prefect for a Cinco de Mayo fiesta! Easy to prepare and so delicious. Only a couple of ingredients and a couple of hours and you have yourself a beautiful and delicious treat. Invite some friends over, or eat the pie yourself, and have some fun. Ole! Crush the pretzels in a food processor or with a meat mallet. Combine crushed pretzels, sugar and melted butter until well combined. Press into the bottom of a tart dish or pie pan. Whip the whipping cream using your whisk attachment on your mixer until it forms stiff peaks, set aside. Combine all the other ingredients. Once well mixed fold into the wipped cream. Pour mixture into the crust and chill in the freezer for several hours. Remove from freezer 1/2 hour before serving to allow it thaw slightly. Slice and enjoy.